Both nationally and at Draycote, the Solo Fleet is active, friendly and competitive. Here at Draycote we have top flight helmsmen, like Greg Irish, Richard Pye and Jon Clarke, right through to people in their first few years of sailing. Turnouts for club racing on Sundays are almost always in double figures throughout the year, and we reached 20 one day in May! Whatever standard you are you will find boats to race against at the weekend. Some of our keener (and less employed!) sailors are regularly out during the week – often during the day on a Wednesday. 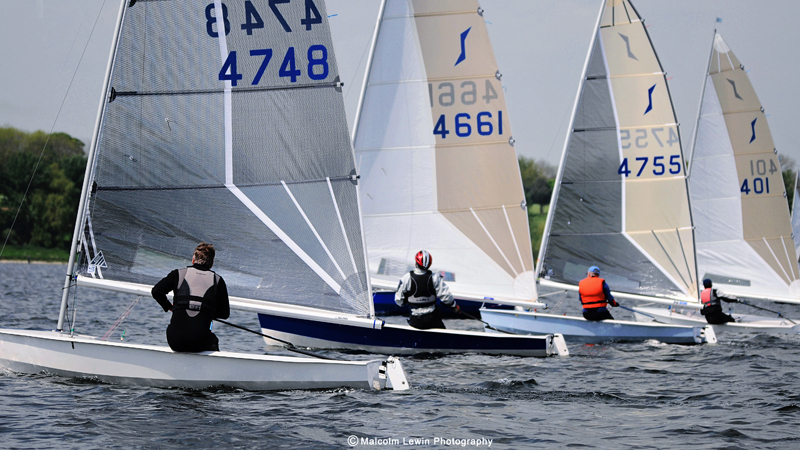 Alongside the club racing, we organise two big Solo open events at Draycote – the Open Meeting in June, which is part of the Midlands Area series, and the National End Of Season Championships with around 75 boats competing. Click here for Racing Series and Scoring.